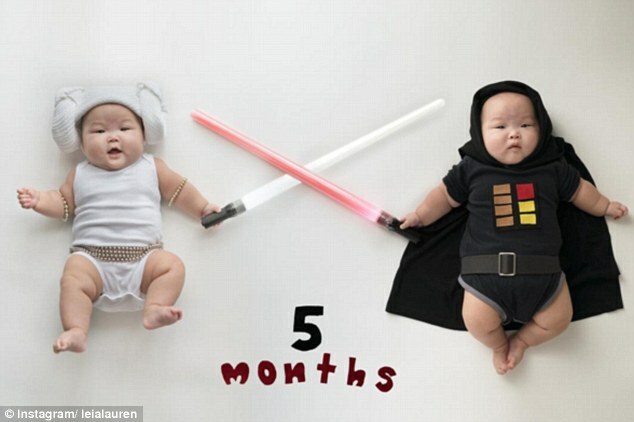 Meet Instagram’s Most Stylish Twin Babies – Leia & Lauren! The world is fast becoming much too virtual and everyone believes in taking their life experiences from reality and sharing them online. From some time now, people have been seen continuously posting things about their lives on social media accounts like Facebook and Instagram ! But one such account has captured our attention and is making us drool over. 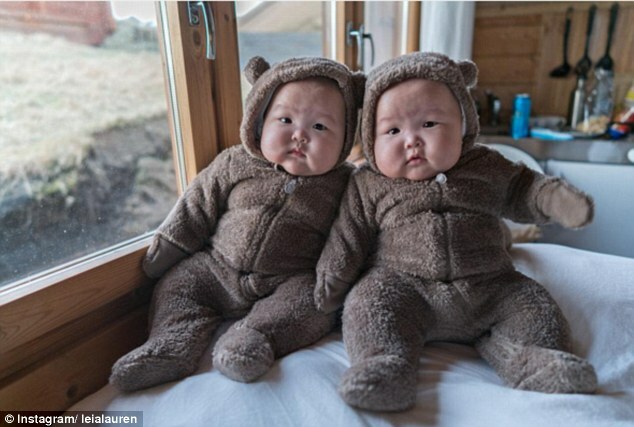 It is the account of Amber Yong ( Instagram ), where she posts pictures of her new born twin girls –Leia and Lauren, who are overloaded with cuteness and too beautiful to stop looking at ! Amber started posting their pictures the moment she brought them safe back home, after a series of serious cord-entanglement issues that proved to be dangerously risky for both the twins, but somehow they emerged fighters and came back home healthy and safe. Since then, these two have been ruling Instagram and all its followers with their cute chubbiness. These two beautiful twin girls are gathering quite an audience worldwide through their mother’s Instagram account, as well as through some other sources who have become a fan and have chosen to include them in their posts as well like – @kidzfashion and @sweetasiankids. 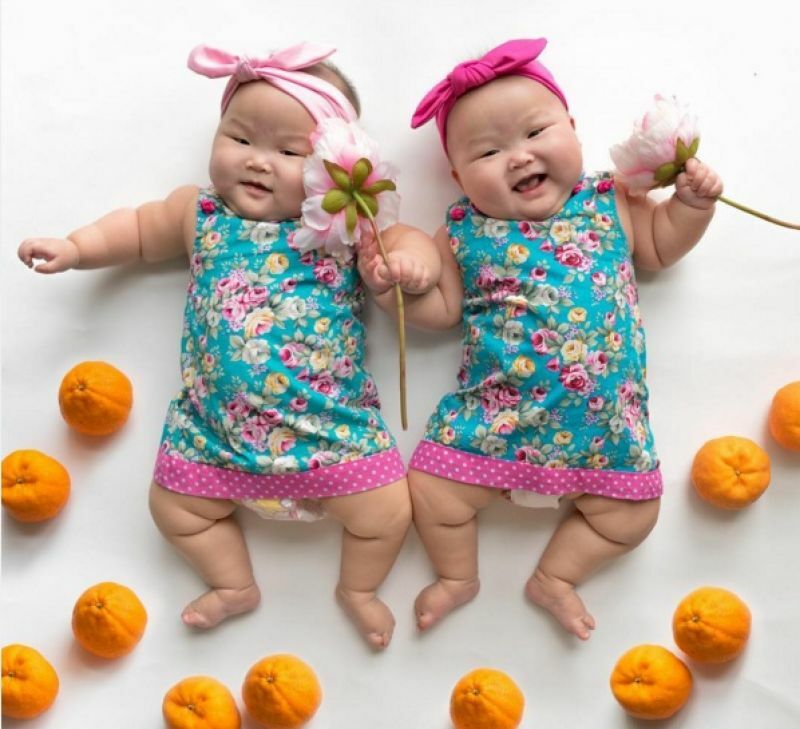 Their mother, who is a travel enthusiast, residing in Singapore,dresses them up in cute little baby-attires, that can make anybody drool over their sweet smiles and cuddly cuteness. Their pictures have been posted on the account ever since they came home with their mother, and have since then, became a sensation on social media with around 250k followers and even featured on the cover page of Singapore Child magazine. They are probably one of the most followed child models around the world and increasingly in Asia, because of their mother and her stylish attires ranging from ethnic Japanese clothes to just wrapping towels around their heads. She has them photographed in almost every situation of their daily life, be it from bathing, eating, playing, whining or peacefully sleeping. You can dote on these two all day and not get tired. Also, their sense of styles or rather their mother’s, who dresses them in a range of outfits, is something of an eye-catcher in Micro Fashion for kids around the world. They have also been shot playing merrily in monthly videos that captures the beautiful experience of the two twins of growing up and their parents too. And they don’t just feature in their bedrooms, but also accompany their mother on her various travel adventures, while still constantly being captured.